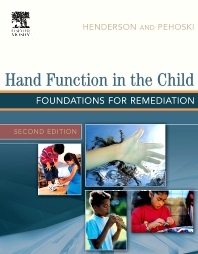 This comprehensive resource and clinical guide for students and practicing pediatric therapists features current information on the neurological foundations of hand skills, the development of hand skills, and intervention with children who have problems related to hand skills. Covers foundation and development of hand skills, therapeutic intervention, and special problems and approaches. Is readable, concise, and well-organized with a consistent format throughout. Integrates recent research findings and current thinking throughout the text. Emphasizes neuroscience and the hand's sensory function and haptic perception. Applies neuroscience and development frames of reference throughout. Implications for practice included in each chapter. Presents concepts in the foundation/development chapters that are linked with the intervention chapters.